Are you ready to step back in time again this Summer? 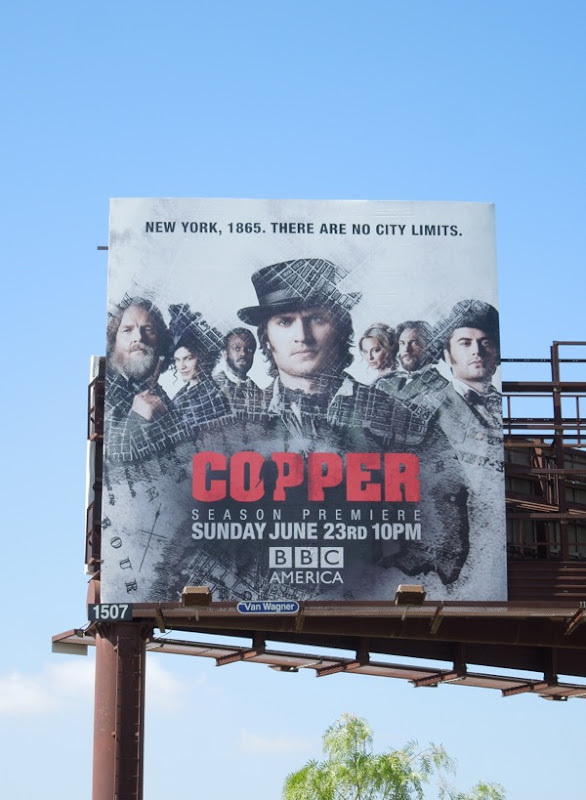 Tom Weston-Jones is back on the beat for a sophomore season as a New York City Copper in 1865 America. 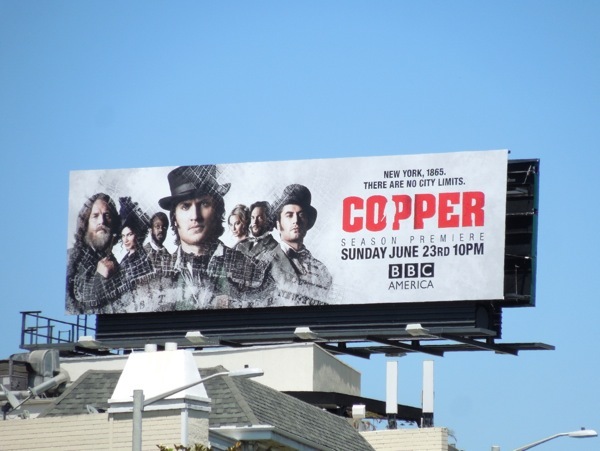 'Detective Kevin Corcoran' struggles to keep the peace in a city on the brink of Lincoln's assassination, with dramatic changes in politics and society altering the worlds of Irish immigrants and African-Americans around him. 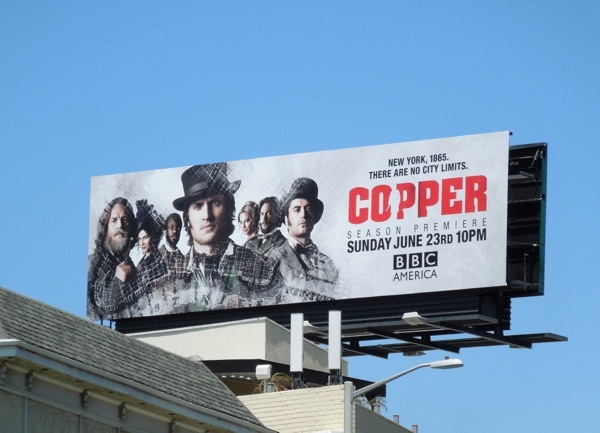 Get set for more old-fashioned sleuthing, violence and betrayal in Manhattan's Five Points neighbourhood. 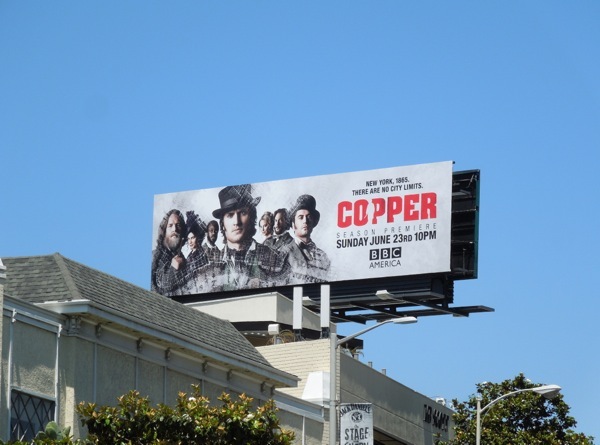 The standard landscape billboard for the second season of Copper was spotted along Sunset Boulevard on June 10, whilst the portrait creative was spied along La Brea Avenue on June 19, 2013. 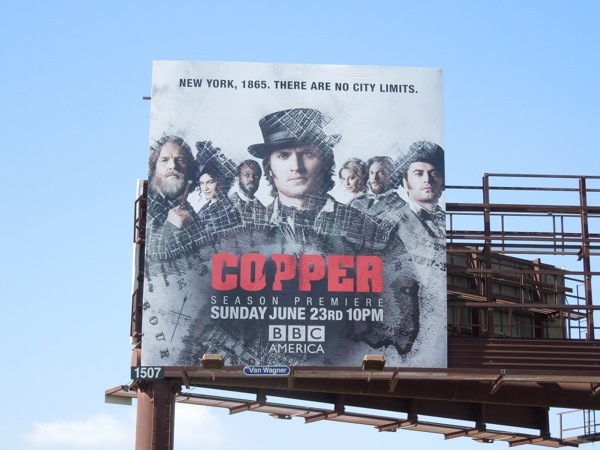 If you're a fan of the BBC America Civil War-era cop drama, be sure to also check out these Copper season one billboards from around L.A. and New York City.